Our NEW class offer adults with little or no experience playing tennis a great introduction to the sport. 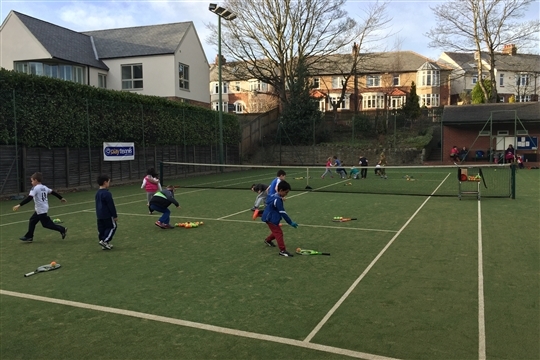 Our beginner classes work on the basics of the game developing forehands, backhands, volleys and serves in a fun, engaging way. We will also learn basic rules of the game and scoring. All equipment provided. 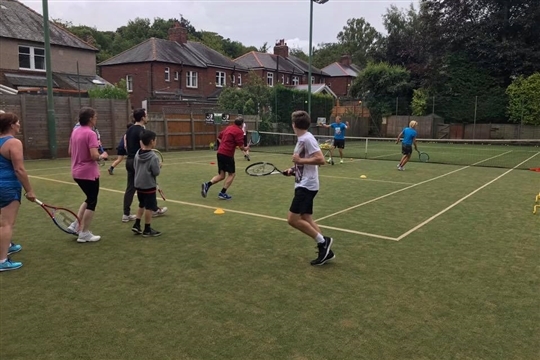 We offer a warm, friendly welcome as well as competitive and social tennis, suited to all abilities. We also have an excellent balance between social, competitive and junior/beginner play opportunities. 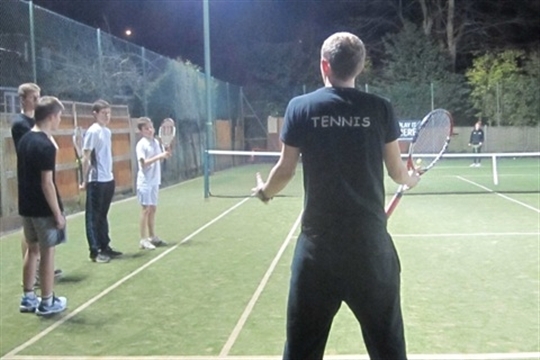 We have 2 all-weather Astroturf courts with floodlights for all year round play. The lovely south-facing clubhouse combined with pleasant surroundings allows members to enjoy many social and tennis activities. The club is also available for hire for small social activities such as birthday parties or community events. Social tennis sessions are for all abilities, Saturday 2pm onwards. Wednesday 12noon onwards and 7pm onwards. Cardio tennis, a fun way to improve your tennis skills and fitness is Wednesday 6:15-7:00pm, £4 per session. Thinking about joining but not quite sure? Why not come along for up to 3 guest trial sessions at £3.00 each and see if you like it. Please contact Barbara Parkin 07742077926 to ensure someone is available to welcome you and show you the club, it's facilities and possibly play tennis with you! Please visit our Coaching page for more information on our current sessions. 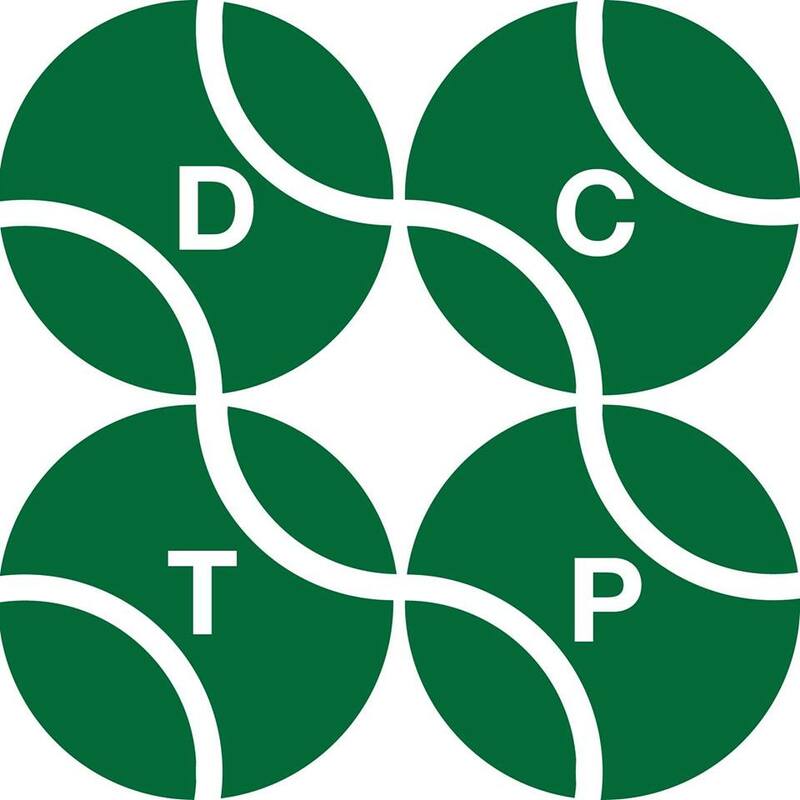 We run coaching throughout the year delivered by the 'Durham Community Tennis Partnership'. Members are eligible for a discount on all sessions and your first lesson is free!